Strong winds and six-metre waves in the South Atlantic have hindered the frantic search for the Argentine submarine and its 44 crew members, the country’s navy said on Saturday. The German-built AR San Juan submarine was headed to Mar del Plata from the city of Ushuaia and last reported its location 432 km (268 miles) off Argentina’s southern Atlantic coast early on Wednesday, prompting authorities to launch an emergency search-and-rescue operation on Friday. The AR San Juan uses diesel-electric propulsion and was inaugurated in 1983, making it the newest of the three submarines in the fleet. The navy has said it believed an electrical outage on the submarine may have caused its communication problems. If this was the case, the submarine should have floated to the surface when contact was lost, according to protocol. 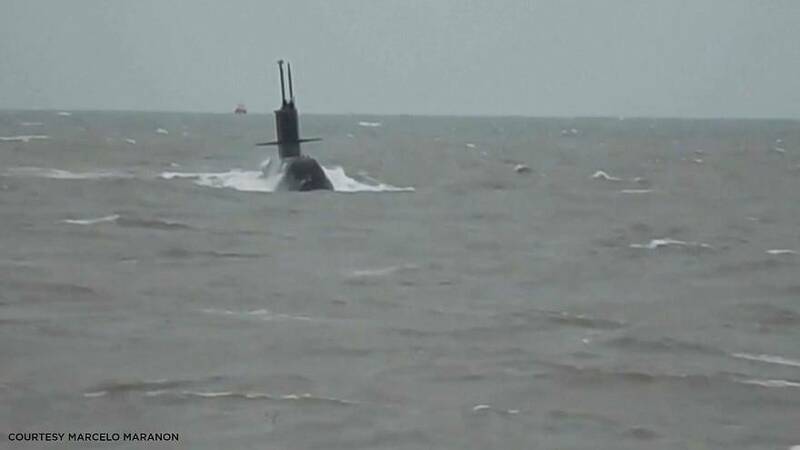 But a storm has disrupted visibility and efforts to explore Argentine’s southern sea for signs of the missing vessel. Poor conditions were expected to hold until Sunday afternoon. Nevertheless, officials are doubling down on search efforts above and below the water’s surface. Authorities from different parts of the world have offered solidarity and cooperation in this rescue, according to Argentina navy spokesperson Enrique Balbi. “We received the formal offer from Chile, Uruguay, Brazil, Peru, the United States, Great Britain and South Africa. In case we need material for the search, they are available for whenever we need them. For now, we have called a search and rescue operation at the national level,” he told reporters. Argentina accepted an offer from the United States for a NASA P-3 explorer aircraft that had been stationed in Ushuaia. A Hercules C-130 from the Argentine Air Force has also been flying over the area. Pope Francis, a native Argentine, is praying “fervently” for crew members to return to their families soon, his office said on Saturday.